A coffee-lover's dream, our Cappucino Deluxe coffee gift box features a lovely selection of delightful coffee-themed treats. 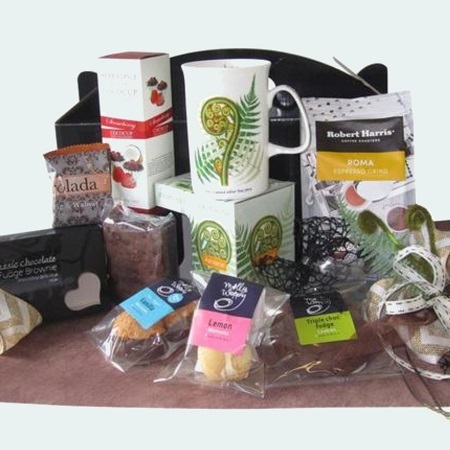 Included is a fine bone china mug with a fern and Koru NZ design, quality ground coffee, and an assortment of tasty goodies to enjoy with a cuppa. Your gift box comes beautifully wrapped with fern and koru details and a stylish hand-tied jute bow.